hiring Archives - Whiteboard Consulting Group Inc. In this week’s podcast we focused on tips for managers to impress the heck out of their new employee by having the most awesome and fantastic on-boarding program ever. I mean, ever. That’s all. Just don’t do that. It may be a while since you were new on your job. Plus, you’re a manager and may not exactly know what your team feels would make a rookie feel part of the team. Remember, not only are you responsible for attracting and recruiting talent, but also for making them want to stay and be productive! If they don’t feel welcome, they may bounce pretty quickly. So, one of the smartest things you can do is to ask your current employees to brainstorm and create an on-boarding plan – they will certainly know the good and the bad of your first day on the job, and they will want to ensure the “new guy/girl” wants to stay! This collection of ideas should be written into some kind of process or standard operating procedure that can be triggered as soon as a new employee’s start date is made public. Remember, the goal is to make this person feel valued and special – like they are kind of a big deal. 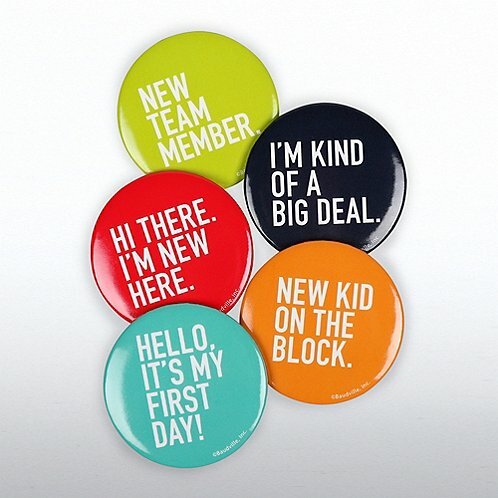 Create a checklist for welcoming a new employee. Use your team to ensure it’s realistic and awesome and fun. A buddy. There is NOTHING as good as being assigned a buddy to help you navigate the ropes. If you have nothing else in your on-boarding program, have this. A schedule for the first 5-7 days, that’s designed to slowly integrate the new person into the routine. (Pretend you are a “Cruise Director,” and you’re planning the week to be productive and also have time to recover from information overload.) This would include a meeting with HR to sign papers or security to get keys or pass cards. Somewhere to sit, and all the required trappings – computer, phone (either desktop or company-assigned smart phone), chair, basic stationery supplies. Oh and a nameplate, with their name spelled properly. A printed list of login information for any required systems. Learn how they like to be managed, recognized, encouraged. Follow up on information gleaned during the interview. Yes, I do expect you to get up to speed gradually. Yes, I know you’ll have lots of questions, and if your buddy can’t help you, come and see me. Come and see me even if you don’t have questions. Yes, you’ll have a performance plan and a learning plan, but let’s talk about that in a week or two, after you get settled. Yes, I check in with my team regularly – here’s when and what I expect during those check-ins. A formal, scheduled 30-day check in with you to ensure that their expectations have been met in their new job. You should also check in at a week, and even two weeks – it’s critical you have a formal meeting at 30/60/90 days – this is important to retaining the talent you just hired. These days it is much easier than it used to be (even perhaps expected) to switch jobs if they don’t fulfill you and meet your expectations. Taking the time to make sure the new employee’s first day/week/month/quarter is AMAZING, will make it much less likely that all the work you did to hire someone will be wasted when they leave quickly. Create the plan. Do the plan. Make the person feel like a rockstar. In this week’s podcast we focused on tips for managers to be the most successful and effective they can be when conducting an interview. Oh sorry, you thought it was just the job applicant who had to prepare for an interview? Nope. Wrong. You may recall that we spent some time talking about how a job applicant needs to spend some time thinking about “their story.” How does their experience best answer potential interview questions? We coached people to learn to tell their stories in a way that ensures that you, the interviewer, is hanging on every word and seeing the obvious link to the skills and traits you are looking for. 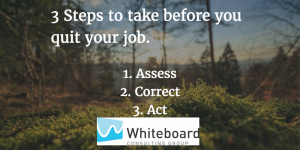 You’ll also need to decide whether you require an assignment, and whether that should be pre-work (rare, since people can get help with these) or post interview work completed on site (more common). Finally, consider the time available, the panel interviewing with you (do they have any questions to add or will you simply be reviewing your questions and goals with them), pare down your questions to the most important, and then create a scoring template to use in the interview. Asking the questions is the easy part. The hard part is listening. Can you be fully present and engaged in what the person is saying? Is your phone buzzing in your pocket? Do you keep checking your watch? Are people tapping on your door, disrupting (even unintentionally) the interview? Do everything you can to respect this person’s time, even if you can tell right away that they aren’t the right person. You never know who you will meet again in the future, or whether that person will be able to connect you to someone else. Also, it’s common courtesy. be kind. Getting people to relax will enable you to more effectively gauge their soft skills. 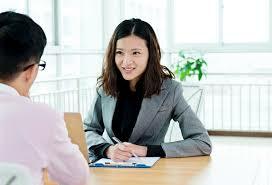 Lastly, listen for the interviewee’s story, assess their behavioural qualities and how they carry themselves (making allowances for fumbles and word slips at the start due to nerves), and take notes. Notes are important so you can have an informed discussion with the panel after the interview, so you can support your decision, and so that you can carry out a debrief, if asked, after the interview. They also give you something to focus your mind (it’s hard to think about tonight’s game or tomorrow’s presentation when you’re taking notes). Other than making your decision and bringing in your new employee (which we will cover in our next episode), there is one last thing you may need to do, if asked. Smart people always request a debrief if they are the unsuccessful candidate. They seek to understand what they could do better next time, and even look for suggestions on how to improve. Many managers are terrified to conduct debriefs, almost always because they are uncomfortable giving feedback. The best way to prepare to give a debrief (other than reading this blog post), is to take 5-10 minutes, and write down what you want to share with that person. There’s no need to go overboard and gush about how awesome it was to talk to them and how they did a great job but it just wasn’t the best fit and how you really liked them and it was a close call. That’s garbage feedback and it would be better not to bother at all. I have a couple of ideas to share with you for your next interview. With respect to project management (or whatever topic you want to focus on), what I was looking for was a specific example of what YOU did, and I only heard about the team. 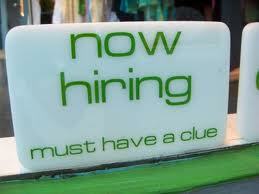 We are looking for someone who has the confidence to take on difficult situations, and you seemed pretty nervous. Of course nerves are normal in an interview, but you didn’t seem able to get more settled and more confident as the interview went on. I think you could use some rehearsal / practice / experience. The key is to give specific feedback that highlights what you DIDN’T see/hear, and how the candidate could take action and improve. You have done a lot of work to get to the point where you’re ready to interview someone, and (hopefully) so have they. Do that last little bit of preparation so that you can listen effectively for their stories and know without question whether they are a good fit for their team. Then be prepared to give feedback and pass on your expertise – you never know when that good karma will come back to you. In this week’s podcast we focused on tips for finding and recruiting the right talent. It’s 2018 y’all, and it’s no longer enough to simply post a job ad, cross your fingers, and hope for the best. Today’s talent is connected, to everything, everyone, everywhere, and so you must be too. In order to create or build or grow the best team possible, you’re going to have to do a bit of work – not a ton, but enough. The answer to this question requires a bit of self awareness. It’s awfully tempting to hire people who are just like us – after all, you know how to work with them, you know where to find them, and it’s EASY. Of course, easy isn’t always RIGHT. If you hire a team full of people who are just like you, you’re missing out on creativity, diversity, and the possibility of alternative, better, approaches to business. What about your team? Are there gaps there that you’d like to fill? Generational gaps? Gender gaps? Skill gaps? 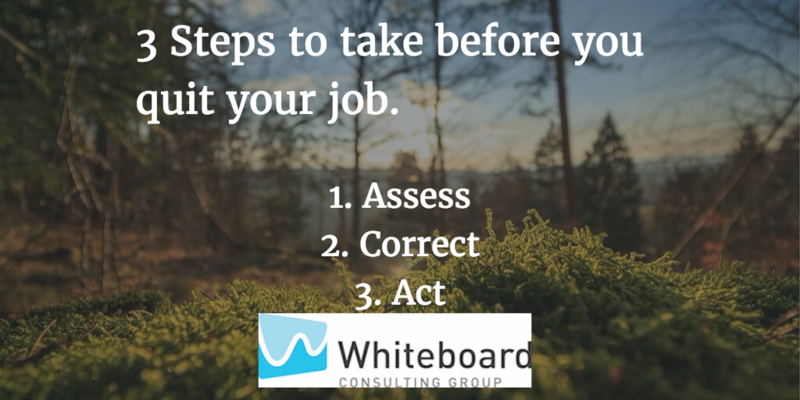 It’s important that you do a gap assessment, not only of your own style, but also of your current team. Figure out what is missing, and think about the ideal person that could fill that spot. Do you have a Job Description? Not just a Job Ad or Posting – an actual, robust, Job Description (JD) that not only explains the job, but is written in a way to excite and attract the person you’re looking for. 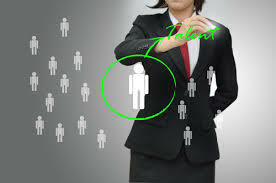 Tell a story about your company that will show your target people why they want to work for you. What is the culture like? Are there any perks on this job? Think about titles too. Are they old fashioned (Customer Service Representative) or modern (Customer Rockstar)? And by the way, JD writing isn’t everyone’s skillset. There are professionals out there who can help you, and it’s worth it! Who Knows That You’re Looking? Google the top job posting sites, and you’ll get different answers depedning on the job category (tech, pharma, government), whether it’s a single job posting site (Monster or Dice), or a site that bundles other sites (Indeed). There are “boutique” sites, big sites, small sites, Google sites, LinkedIn sites… it can be overwhelming. In addition to being overwhelming, you are likely to get 100’s (maybe 1000’s) of applications, and that can take time, energy, and even money (if you use a screening service) to sort through. Once you’re connected to someone, you can encourage them to apply. Remember, this isn’t about circumventing the established hiring practice, it’s about encouraging someone to put their name in the hat. Their success within the process is then up to them! If you do the work to make sure you really know who you’re looking for, and the work to write the job description to appeal to the person you want to hire, and then do the work to let people know you’re looking for someone, you will be much more likely find that perfect candidate. It happens so suddenly. Things seem to be chugging along and one afternoon you come to the drastic realization: “I want to quit my job”. It may have been percolating for some time. Anger and resentment like to age like a fine wine (mmm wine. Is it Friday yet?). Maybe something specific has triggered your sudden need for change. Perhaps you’ve had a sudden leadership shuffle or organizational realignment that just turned your work-life upside down. Either way, something has to change and you’re going with the all -or-nothing approach. You want to quit your job. Okay, sit back and breathe. This has happened to all of us. The following 3 steps ensure that you are making the right move, and if the move is real – how to make sure you are prime interview material. What makes you think you should be better at them? Which one in particular (there may be many, try to pick the one with the biggest impact) would you say is making you want to leave? Why [insert answer to your last question here]? i.e. Why do you think your boss doesn’t know how to lead? Why [insert answer to the last question here]? i.e. Why do you think your boss has no desire to help you to succeed? Why…. [you get the picture right]? i.e. Why do you think your boss dislikes you as a human? What evidence do you have to support your beliefs/observations? Is it possible these are assumptions? Why do you think it will be better? What evidence do you have that supports that? Is there a person/place/resource that you could use to determine if another agency/consulting firm/hospital etc. will be better? Now, finding a job can take a while. So maybe there are some opportunities in that big list above to make some course corrections. Make things better. Maybe they get so great you don’t need to leave, or maybe they just become more tolerable while you are on the hunt for that new dream job. What can YOU change about your behaviours/habits/style that could help? What skills/experiences do you need to develop to make the transition? What tools, resources, people (mentors, colleagues etc.) do you have to help you make changes/get experience and skills? What changes would help that YOU have influence over? What things do you think can OTHERS change? Are you willing to have a conversation with them about it/work together to solve it? What things aren’t going to change/things you don’t have control or influence over (i.e. policies, organizational structure) ? Can you come to terms with that staying the same during your transition? What things might get in the way? Now do the things. Make the changes. Use your influence, tools, resources, and people to help you get what you need. Make the best of the situation. Now is a great time to “SHINE”. This will serve a couple of purposes: work will be more bearable, you will have overall better days that make you happier, you will be more confident, and you’ll have people who are willing to give great references. You may love it so much, you decide to stay. Have you had the sudden urge to leave? Did you act on it? Did you use some of these steps? How did it turn out? What would you have done differently? We’d love to hear about it in the comments below or on Twitter @whiteboardcons #iquit. So you’ve decided you need a consultant, right? No? Not sure? Many people experience angst when deciding whether to bring in outside expertise. 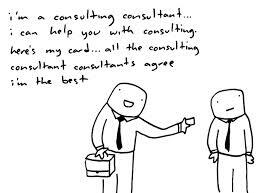 After all, we consultants are right up there with lawyers in the ranks of professions who often get a bad rap. Therefore, we recommend you think about it like a business case: if you have a piece of important work that needs to be done, and either a) there is no one in your organization with the right skills to do it, or b) they aren’t available… then you need a consultant to help you. There’s just no way around it. So now that’s taken care of. You need a consultant. How then, do you go about finding one that won’t leave you feeling “shmoozed” and left with a bunch of expensive binders and documents that aren’t helpful and aren’t what you need? Would it surprise you if I said it’s all in the process? Well it’s true, and it’s really just a matter of asking and answering the right questions, in the right order. 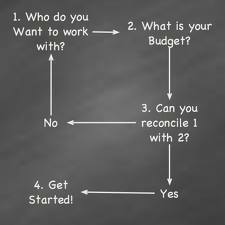 Do you have a realistic budget? This may seem self-evident, but you’d be surprised. Some organizations agree they have a budget but haven’t decided on exactly how much. Then, when they finally map out the work they want done, they find they can’t afford it. So first consider the budget. Then when you get to scoping and hiring, your expectations will be aligned with your budget. Have you decided whether you need Advice or Implementation? The distinction is important. Are you looking for a person(s) who can do a review and provide you with considered advice and best practices for comparison? Or do you already have a clear idea of what you want to do, and therefore you simply need someone to confirm your thoughts and then execute on the strategy? Perhaps you need both, and that’s fine – just remember they are very different skill sets. Have you written a fantastic proposal? Many proposals are dozens of pages long depending on the industry and the sector. Most of them have a “core” section that describes the environment, the challenge, and the expectations as clearly as possible. The better this section is set out, the better the quality of responses you will get from potential consultants. Are you interviewing more than one candidate? Whether you are in the public sector and required to interview at least three, or in the private sector and can hire whomever you like, it’s important to keep your options open. Why? Because at the very least you will be able to determine a personality fit (which is a key to a successful relationship), and at best you will hear about potential approaches that you never even considered. Have you set out some on-going support and touch-points for the consultant once they start? It’s often the case that there is a kickoff meeting, a few introductions are made, and the consultant is then left to fend for him/herself. 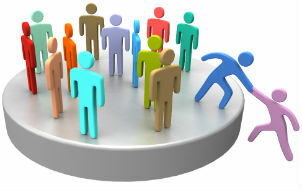 If you can provide a single-point-of-contact for them, set up a few touchpoint meetings in advance, and show your interest and support throughout (even if you assign the oversight to someone else), it goes a long way to building that trusting relationship, which is likely to make the consultant go that extra mile to make sure you’re happy (even delighted!). We’d love to hear about your “consultant hiring” experiences. Please feel free to comment below, or Tweet us @whiteboardcons!